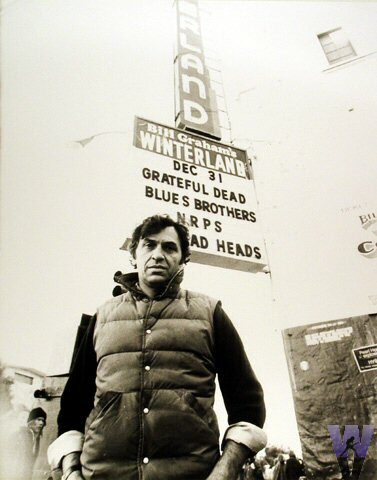 Concert promoter Bill Graham was a well-known packrat. His collection of posters, tickets, t-shirts, backstage passes and other memorabilia sat in a warehouse after his death in a helicopter crash in 1991. In early 2004, entrepreneur Bill Sagan paid Clear Channel, then-owner of Bill Graham Presents, $6 million for the entire collection and began selling it online. With five-figure prices for many items, the Wolfgang’s Vault website wasn’t a place for the casual fan – until the advent of Vault Radio. Introduced early last year, it offered free streams of songs from the Fillmore, Winterland and other Graham venues. In late 2006, the site began making many full-length shows available online. The selection is a treasure trove of the classic rock era. The “Concert Vault,” as it’s now known, dates back to the first Graham-produced show, headlined by the pre-Grace Slick Jefferson Airplane. Early performances from Led Zeppelin, Creedence Clearwater Revival, Cream, are presented in soundboard quality, along with vintage performances from era stalwarts the Grateful Dead, the Who, the Rolling Stones and Quicksilver Messenger Service. Wolfgang’s Vault has since added broadcasts from the King Biscuit Flower Hour, the King Biscuit-produced Silver Eagle Cross Country program and “Live from the Record Plant,” a series of radio concerts heard originally on San Francisco’s KSAN-FM. The site currently has almost 600 shows; a small number of them can be purchased, mostly sets from B-list bands like Girlschool and Blackfoot. Apart from a 1976 Santana performance, there’s not much from the classic era. All shows, however, are unencumbered by file protection schemes, and fairly priced at $9.98 each. The effort is not without controversy. In December, lawyers representing several performers, including the Grateful Dead and Jimi Hendrix, brought suit against Sagan, claiming that Bill Graham never intended to profit from his personal collection. Indeed, he’d discussed plans to open a museum with it. Pink Floyd at Oakland Coliseum, 5/9/77 – The Bay Area audience was a nice respite for the English band. Fans hung on every note and sound effect, rather than whoop during the quiet moments. Includes pristine versions of “Have a Cigar,” “Money,” and a sadly abbreviated “Us and Them” – the sound board tape ran out. Considered one of the best live Floyd shows ever. Fleetwood Mac at Capitol Theatre, 6/7/75 – One of the first live performances from the lineup that made Mac a superstar act, as they worked through soon-to-be standards like “Rhiannon” and “Landslide,” along with mid-era favorites like “Spare Me A Little” and “Hypnotized,” a Bob Welch tune sung by Welch’s replacement, Lindsay Buckingham – with a nice Stevie Nicks harmony. A rare glimpse of rock royalty back when they were still a little hungry. Little Feat at Winterland, 2/14/76 – At the time, a relatively unknown act – ELO headlined this show – the Lowell George-led group has all the pieces in place here. A 22-minute medley, “Cold Cold Cold/Dixie Chicken/Tripe Face Boogie,” doesn’t waste a second; fans at the show (and on the radio) also heard “Willin’” done the way it was intended, and a bang-up version of “Fat Man In The Bathtub.” One of the most bootlegged shows of the Seventies, it’s also one of the best available for download. October Road – What Decade Is This? As “That 70’s Show” rode off in a pot smoke haze last year, I wondered about the fate of the actors who weren’t named Ashton or Topher. Laura Prepon has made her move, to the ABC series “October Road,” which premiered last Thursday. Judging from the pilot, Laura seems to have brought the entire decade over with her. The show’s premise – small town favorite son rises to fame via roman a clef novel that disses most of his friends – is interesting on its face. However, the idea of the novelist as rock star died in the 80’s. In an era of reality television, where writers aren’t even needed let alone revered, the many scenes of Nick’s literary groupies fawning over the arcane symbolism of his only novel are silly. Combine that with the fact that fictional writer Nick Garrett’s prose is startlingly, land-fill stenchingly awful, and you have all the makings of a sure-to-be-cancelled disaster. But I’m a music writer, after all. As bad as he show is, my real objections to “October Road” center on the producers’ soundtrack selection. Obviously, the writers of the show think there’s no life after “Free Bird.” I don’t believe I heard a single tune in the pilot episode that was less than 30 years old. Boston wasn’t even a cool band in 1976 when they were selling millions of albums. We’re supposed to believe there’s a bunch of teenage Nirvana fans blissing out to them 21 years later? How about some Green Day – or Gin Blossoms if mainstream’s a must – something, anything from the decade in question? Fast forward to 2007, when Nick is back in town to teach a one-day seminar at the local college. His friends still engage in their daily ritual, a wacky air guitar session featuring Thin Lizzy’s “Boys Are Back In Town.” I know classic rock never got old, but c’mon, this song came out five years before any of these characters were supposedly born. Did I mention that Nick had his Kurt Cobain picture on the wall of his New York City apartment? Maybe it was there as a reminder for him to someday check out this “grunge thing” – once he got through the Clash, Duran Duran and Night Ranger. It’s times like these that make me believe baby boomers should be banned from picking the music for all television shows. At a minimum, these guys should be forced to watch “10 Things I Hate About You” fifty times to absorb the late 90’s teen zeitgeist, because they’ve completely missed the boat here.